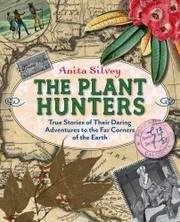 The Plant Hunters by Anita Silvey turned out to be as marvelous as I thought when I started it last week. The Plant Hunters deals with the naturalists who went all over the world hunting for new plants. While Silvey brings her book up to the present day, for the most part, she's dealing with seekers from the past, particularly the nineteenth century, a period when the search for new knowledge sent lots of people out into the unknown. What Silvey does here that's so terrific is that she doesn't just write bio per chapter after bio per chapter. I thought that might be the case, after reading Chapter One, which is about Alexander von Humboldt. Instead, she organizes her chapters around topics. Say, Chapter 2 Why Did They Do It? While explaining why these people faced danger and made tremendous efforts to bring huge numbers of plants over long distances, she uses real people to illustrate her points. Every chapter is like that. They each are on a subject and the people involved get pulled in that way. And the nineteenth century illustrations and the black and white photographs are so perfect. The Author's Note has a great bit on how Silvey got the idea for this book while reading The Orchard Thief by Susan Orlean. There's also a chapter on thieving westerners robbing other cultures of the crops they depended on. Well, no, that's not how Silvey put it. That's me. Those nineteenth century scholar/adventurers had a dark side, in my humble opinion.